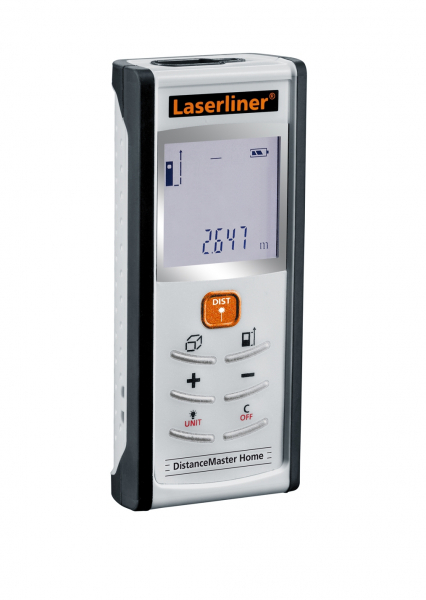 Point-precise measuring with laser light to determine lengths exactly. 1. Simple height measurement with dual Pythagoras measurement function to automatically detect heights. Simple assessment of room perimeter with the addition and subtraction functions. The wall surface function automatically adds up surfaces by measuring the lengths of walls as well as their height once. Inside measurement range: 0,2 m to 25 m.